Bandra Folks, Pizza Express Is Coming Your Way Very Soon! Bandra people, thank your lucky stars as there’s another pizza joint coming to this side of town – Pizza Express. 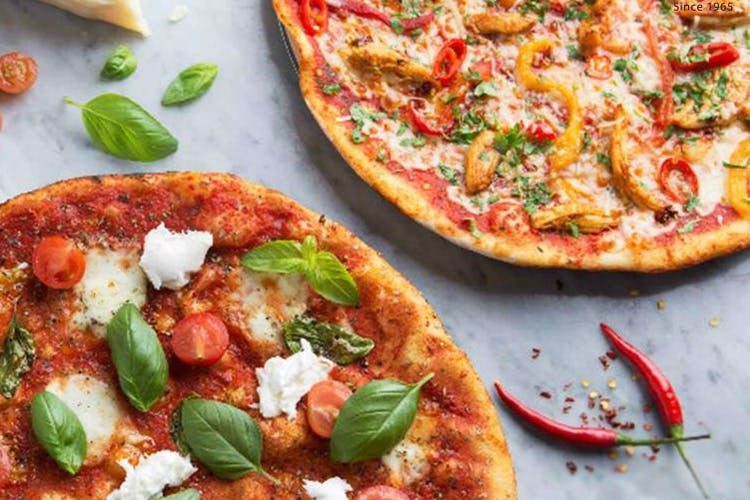 We spotted the big sign declaring Pizza Express in the HSBC building in Pali Naka, and couldn’t help feel a silent satisfaction – may pizza joints take over the world. After coming to us from Delhi, and then opening in Colaba, Andheri, BKC and more – it’s finally coming to Bandra. We love them for their dough balls with garlic butter and sundried sauce. Although the date is uncertain – will they open now, won’t they – we’re looking forward to it very much.